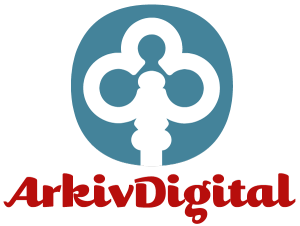 ArkivDigital (Swedish and English) ArkivDigital is a subscription website that has a significant collection of the most important Swedish church records, in COLOR. The images are beautiful and are frequently much better than images on the LDS microfilms and on Ancestry.com. And by better I mean there are records that are totally unreadable on the LDS microfilms that are easily readable on ArkivDigital. ArkivDigital has also digitized additional documents that are not found on the LDS microfilms or on Ancestry.com. However, there are some records, especially 20th century records that ArkivDigital does not have. I 100% recommend ArkivDigital, it is my go-to source in most cases. I use Ancestry.com or the LDS microfilms when the record I am looking for is not on ArkivDigital, or when there is an existing index. SVAR Riksarkivet (Swedish and English) SVAR is partially a subscription website that has many of the same resources as ArkivDigital (Church records, estate inventories, military records), although these are not the nice new colored digitizations. However, SVAR has some records that ArkivDigital does not have, like 20th century records. And the Riksarkivet site provides ordering capability to others, like more recent estate inventories. Ancestry.com (English) Ancestry is a subscription website that has a significant collection of church records from the 16th through the 20th century. In addition, Ancestry has other records that are essential for Swedish-American research. The quality of the images is not always optimal, but Ancestry.com has records that are accessible nowhere else online. FamilySearch (English and Swedish) FamilySearch is a free site, although some records, including many of the Swedish records, are not freely available: you must be a volunteer indexer to access the images. And even then, the ability to access the images is very kludgy and intermittent. However, Family Search is creating an index of the birth, marriages, and deaths/burials. In my opinion, this will have less value than indexes of records from countries that do not use patronymic naming customs for most of the population. Nevertheless, it will have occasional significant advantages. Lantmäteriet (Swedish and English) The Lantmäteriet free website is bit like the United States Geological Survey crossed with county courthouses–it does not have maps and ownership information on all property in Sweden. But you can often find some remarkable maps of family farms and learning to use the historical maps collection can be valuable and interesting. I would be remiss to point out however, that only part of the site is translated into English and it can be very difficult to find maps unless you really have a good understanding of the search capabilities. 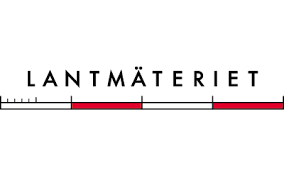 Look for an article on using the Lantmäteriet site on the Methodology page in the near future. EmiWeb (Swedish and English) EmiWeb is a subscription website with limited access for free. 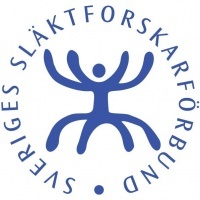 This site focuses on emigration from and immigration to Sweden. The site has a number of important indexes, many of which are unique to the site. One of the most significant databases is the “Emigrants Registered in Swedish Church Books” which contains records from over 2,300 parishes and has more than 3/4 of all Swedish emigrants who emigrated during the Great Emigration.